Welcome to the Chemistry 8 class page for the 2018-2019 school year. All assignments, concept packets (represents the textbook), daily class activities, lab notes, quiz and test announcements, etc. will be found here. The student is required to check this page each evening to ensure that what they have written in their CJ matches the notes here. Use of the page: Assignments are added from the bottom up. Scroll down until you find the correct dates for the correct assignments and class activities. The most recent entry will be the one at the top of the entries. Read the date carefully. Week 4-15-19: Watch ALL four spectrophotometer videos: The four videos are found under the link: Laboratories and Instruments. Week 4-10-19: Graded Labs: review all labs dating back to beginning of year. Good Luck! Week 2-25-19: 1) Graded Labs third class period this week. 2) You be the chemist test (not for a grade) first period all classes. Neutralization Lab. You have one day past our first meet to complete the following video work: Go to link, Laboratory and Instrumentation; Watch 2 Vidoes: Neutralization Lab Calculations and Neutralization Lab #2. Coupons from T2 for Extra Credit: You have between 2-25-19 and 3-1-19 to deliver into my hands the yellow extra credit coupon from T2. If you fail to provide me the coupon in this time window then the coupon is no good. No exceptions. Week 2-11-19: Graded lab (permanganate titration) with quiz on backside on second day of class. Quiz is 5 questions: ppt, neut, redox and lab question. Week 2-4-19: Redox Titration: It is assumed that all of the previous video work is complete. Perform a calculation after every run completed this week. QUIZ last day of class: Will cover ppt, redox, neutralization equations and laboratory question. 5 questions. Week 1-28-19: Neutralization and Molarity: See the following videos: Link Acids and Bases: ChemDoctor: Neutralization Reactions Defined; Link Molarity Defined: Solution Molarity Defined; Link Oxidation Reduction: Oxidation Numbers in compounds, Identification of Redox Equations; Laboratory and Instruments: Permanganate lab set-up, finding iron by the permanganate titration. All by 2-4-19. Two Practice Tests: Ignore questions dealing with molecular polarity and IMFs. Week 12-10-18: Last Weeks Test Returned. Stickers with current grade entered in CJ. At least one period devoted to make up labs. Next Section; Required Reading and Video assignment: Types of Reactions 2018; Go to Molarity Defined and watch Solution Molarity Defined. Types Reactions Notes and Problems with answer documents. Week 12-3-18: Test Week. Day one will be white board review of Lewis Formulas. Self Review after day 1. 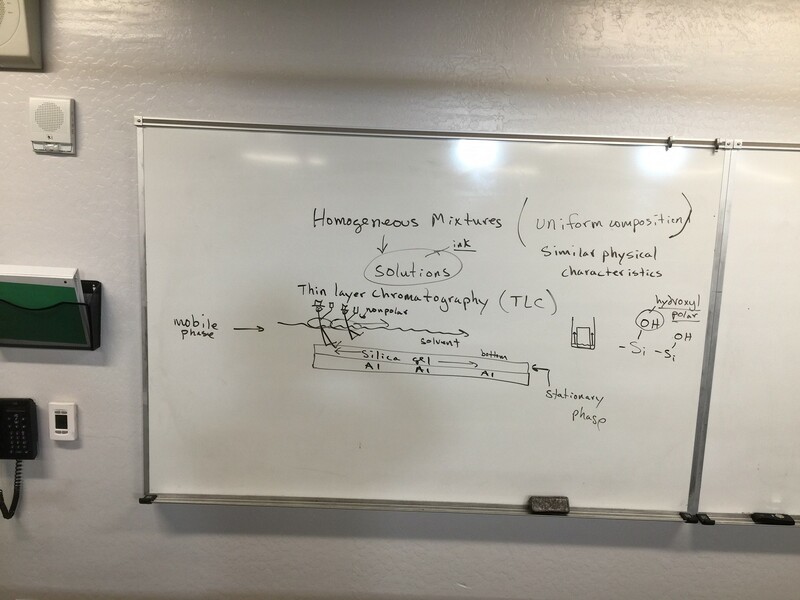 Week 11-27-18: Graded Lab day 1; White Board Review for upcoming test rest of week. 11-20-18: Have a good break! Test Announcement: Wed., December 5, Li; Thursday, December 6, Ni, Sn, Pu, Cs. BA BOOM! Week 11-5-18: Good job doing the video work assigned last week! First day of class: Graded Lab on separation of AgCl and PbCl2. Following two days: Separation of Fe+2, Ag+, Ba+2. Make sure to have printed protocol. Week 10-29-18; Day 1 white boarding did not go well. Therefore, there will be a second day next time the classes meet this week. No labs until you can do the EF’s, MF’s and simple stoich calculations. Quiz on EF, MF, and Stoich last day of class this week. Week 10-29-18: White Board Day 1–EF, MF and general review. Lab with graded lab last day of class coupled to backside paper quiz on EF and MF. The following videos are required by next Monday, November 5:Got to: Theoretical Yield and Limiting Reactant: Watch: Theoretical Yield #1 in series, %yield and mass other reactant #2 in series, ChemDoctor: limiting reactant, mass remaining reactant. Friday, 10-5-18: Have a good break! Monday-Friday, 10-1-18: Tests and graded labs handed back. This week Lewis Formulas of covalent compounds. See: Lewis Formula Drawing 8-3-16; VSEPR Valence shell repulsion model;Additional video support in this area is found under link: Lewis Formulas. Download and print. Know and understand before Friday, 10-5-18! Friday, 9-28-18: Have a good weekend. 9-19-18: White boarding day 2 of class. Remember: Graded Lab coupled with quiz last day of class this week. 9-13-18: Video Assignment. To be done by the end of next week on 9-21-18. A) go to link: Naming Ionic Compounds and watch 1) ChemDoctor: Type I and Type II ionic Compounds. 2) Ionization Equations. B) Go to link: Solubility and watch: ChemDoctor: double replacement precipitation reactions. Test Announcement: Atomic Structure and Lab questions: Thursday, 9-27-18 for Ni, Sn, Pu, Cs. Wednesday, 9-26-18 for Li. #52 multiple choice questions. Stay posted for a review sheet to be uploaded soon. 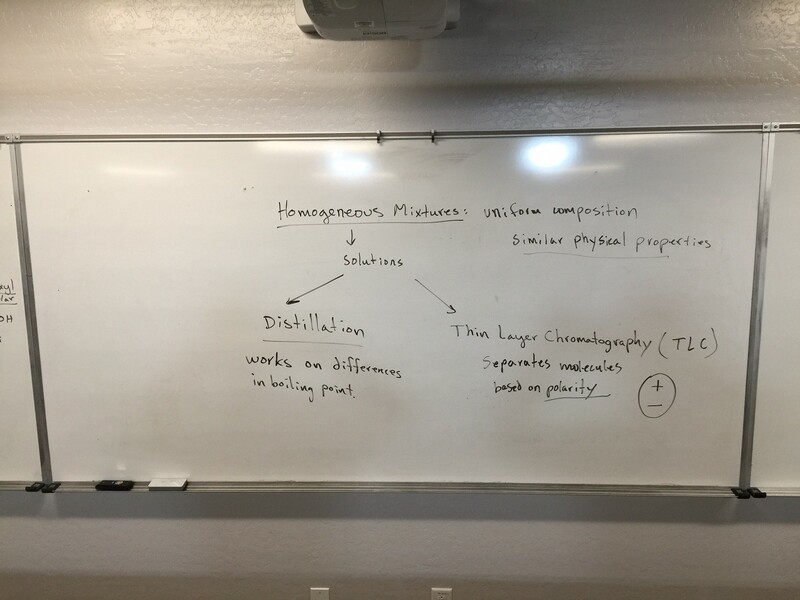 Week 9-10-18: Type I and Type II Ionic Compound naming and translation. See links below. Quiz Coupled to graded lab. Last day of class this week. 9-6-18 and 9-7-18: Current grade entered in CJ. White boarding in classes. Labs, Friday and Monday. Week 9-4-18 to 9-7-18: Finish Periodic Trends including EC, OD, FA, Atomic Size, IE, Reactivity 1A, 2A and 7A, Electronegativity (EN), Ions, and P. Trend Ion sizes. See below for packets. White Boarding this week on the above concepts. Wednesday and Thursday, 8-29 and 30-18: Graded Labs for Ni, Cs, Sn. Review EC, OD, Zeff, P. Trends for Li. For rest of week: Review EC, OD, Zeff, and P. Trends by watching the following videos: Got to link: Periodic Trends. Watch IE Left to Right, IE down any group, Atomic Size Left to right and down any group. Tuesday, 8-28-18 Graded Labs this week with quiz on electron configuration. Make sure you know the EC exceptions Cr and Cu. Friday, 8-24-18: Lab, hard cation and unknown practice for Li, Pu, Ni. Monday, 8-27-18 Lab, hard cation and unknown practice for Sn, Cs. Graded labs next week coupled with quiz on electron configuration. Make sure you know the EC exceptions Cr and Cu. Week 8-20 to 8-24: Atomic Structure. For Monday, 8-20-18 complete the following videos: Go to Link: Electron Configuration, Orbital Diagrams, and PES. Watch Electron Configuration Basics 1 and 2. For the lab: review procedures for hard cations: Al+3, Zn+2, Ca+2, Fe+2, Fe+3, Cu+2, Ni+2(Ni is to be done on your own). See precipitation packet below. 8-16-18 through 8-17-18: Identification of solution unknowns. Download: Precipitation Analytical Lab 9-26-16; Anions include: chloride, iodide, sulfate, and nitrate. Cations include Murarka Cations and Testable Cations. 8-13-18 through 8-15-18: Graded Labs for Heterogeneous Mixtures. Intro to testing for nitrate and Homogeneous Mixtures. 8-9-18 and 8-10-18: Separation and identification of salt from start to finish. 8Li last practice day. All other groups graded lab-heterogeneous mixtures. CJ: Chem 8 Week 8-1-18 through 8-5-18; Complete the files shown below by 8-5-18. 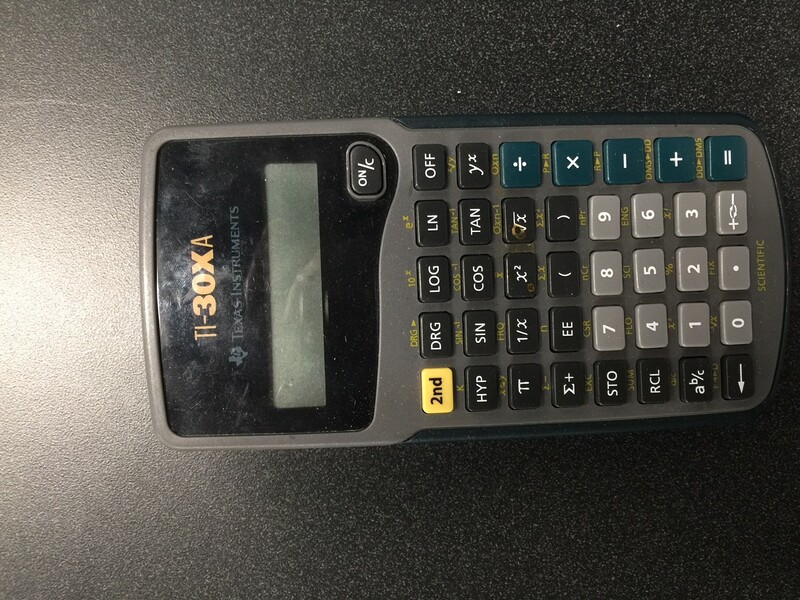 You cannot use an TI Inspire calculator in Chem 8 (see below for option). 3. Special Notes: 1) 2% extra credit if you bring in 2 gallons of distilled water.